Wim van der Leegte, Chairman of VDL, has been at the helm since the age of 19 in 1966 when he took on running the company his father had established in 1953. One of the principles that drives him is that the companies within VDL should manufacture and employ people within the Netherlands and to a lesser extent, Belgium. To this end, while competing companies are increasingly outsourcing the labour element of their products to low wage economies, VDL continues to do everything at home, succeeding by being cleverer in the way that it does it. Across the group, 70% of what is produced is exported. It now employs well over 9,000 people within 83 separate companies split into what was until recently three groups: subcontracting, finished goods and bus and coach. A hugely important development for VDL is the formation of a fourth arm, the car assembly division because, against European trends, VDL is entering the car manufacturing field with a contract from BMW to build a version of the new Mini. This operation will be known as VDL Nedcar. With the addition of this operation, where production is scheduled to commence in July, group turnover is expected to rise to €2.3billion in 2014 from just over €1.81billion in 2013. 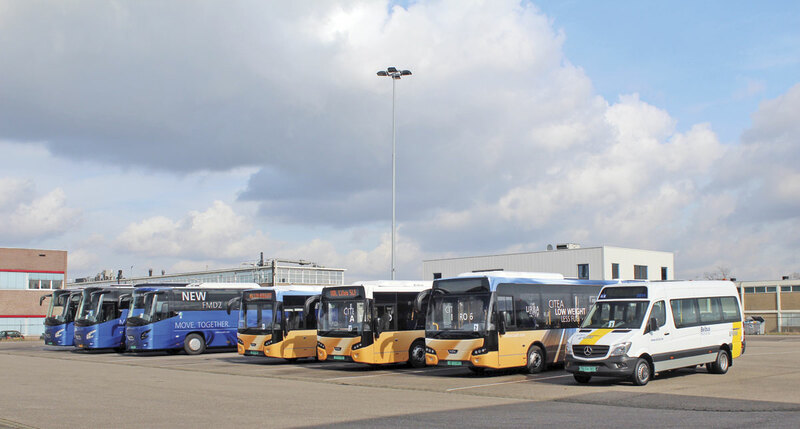 Over the years since its formation in 1993 with the acquisition of DAF Bus, the bus division has absorbed most of the Dutch bus and coach manufacturing industry including: Berkhof, Kusters, Bova, APTS and, over the border in Belgium, Jonckheere. 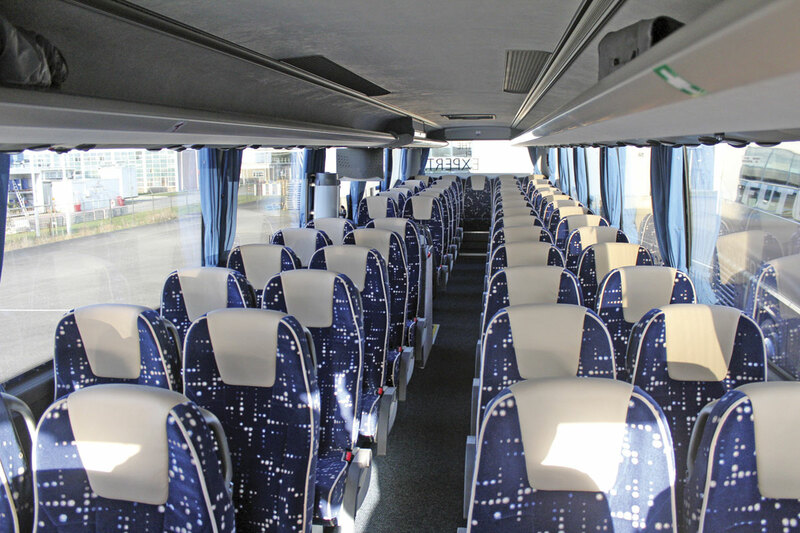 In the first nine months of 2013 the bus division represented 21% of group turnover. It builds buses and coaches in a number of plants. VDL Bus Heerenveen was originally the plant of Hainje and is the main bus building plant. VDL Bus Chassis is based in Eindhoven; APTS, producers of the Phileas BRT vehicle and other innovative projects is based at Helmond; VDL Bus Roeselare is the former Jonckheere operation in Belgium; VDL Bus Venlo is the former Kusters minibus building business; and Valkenswaard is the home of the VDL Bus & Coach as well as VDL Bus Modules (formerly Berkhof) and VDL Bus Valkenswaard, which was originally Bova. It produces a full range of products including: solo and articulated buses; BRT vehicles; two and three axle coaches; double deck coaches; minibuses and minicoaches; and bus and coach chassis as well as various specialist export options. 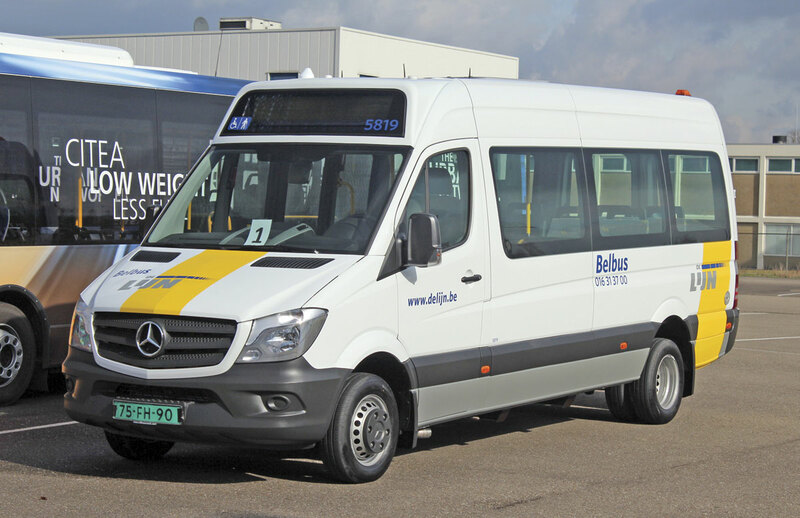 With exceptions, including the Jonckheere product, the minibuses and the APTS, VDL’s aim is to standardise its range behind two model names: Futura for coach and Citea for bus, with each of these line-ups recognisable as being part of the same family. Thus, when the former Ambassador low weight, low entry bus was further developed it lost its previous name and became the Citea LLE (light low entry) while the existing 18-tonne Citea product became the Citea SLF. Within Western Europe VDL has a market share that has fluctuated between 3.7% (2009) and 6.0% (2005) but it has recently been increasing market share against a decreasing market total taking 5.9% in 2012. In that year it was the largest coach importer to Germany and the second largest to Switzerland. It is number one in the home market of the Netherlands. Further afield it has had successes with the Pacific body in Ghana, the Mistral 30 in Jamaica, and also in Dubai and Israel. For the future it has set out its stall to focus on profit of ownership for operators buying its vehicles, achieving this through low weight and consequent low fuel consumption. Components used are from what are described as ‘A-brand’ suppliers to ensure quality, reliability and durability. It aims to make its products attractive to users and, as well as developing new transport concepts, is working on zero emission power train technologies including electric and hydrogen power. VDL and before it Bova, enjoyed considerable success in mainland Europe and to a lesser extent in the UK, with the lower height version of the Futura Classic, the Futura FLD. To re-engage with this sector and also appeal to the former Futura FHD Classic market, it unveiled the Futura FMD at Kortrijk. It is available in lengths of either 12.2m or 12.9m on two axles only with wheelbases of 6,160mm and 6,830mm respectively. The most significant difference between it and the Futura FHD2 on which it is based is the height, which is 200mm less, all of this taken from the area below the floor so that the interior height is exactly the same but the luggage space is reduced, though still considerable. The floor height is 1,230mm. While the FHD2-129 provides 10.4 cubic metres with toilet and standard door, the FMD2-129 with the same features gives you 8.1 cubic metres. Compared with the previous Futura FHD127 Classic, the FMD2-129 has a luggage capacity reduced from 8.5 cubic metres to 8.1 cubic metres but offers saloon headroom of 1,940mm rather than 1,900mm. 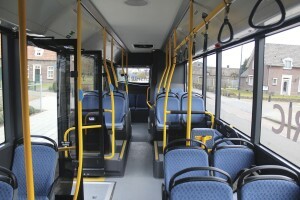 The FMD2 has a flat floor with only a slightly inset aisle sloping up to alongside the fourth seat. Bodily, apart from the shallower lower side panels, and simplified front and rear lower mouldings, the major items including the screens and side glazing, are all common with the FHD2. 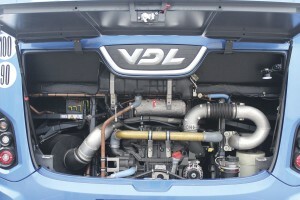 Where VDL has differentiated the FMD is in the use of different colours for parts of the bodywork. Externally, the roof and the front and rear diffusers are in the body colour rather than the black of the FHD while the light units have black bezels rather than silver ones and the front and rear lower panels are less detailed. Internally, the dash mouldings are all grey whereas those in the FHD are grey and beige. The vehicle demonstrated had already been sold to a French customer and had the 1,218mm wide centre door option along with a 350Kg Caroil step lift, reducing the luggage capacity to 7.6 cubic metres and giving a kerb weight of 12,500kg. It seated 59 in plain but attractive VDL class 90 recliners, four of which were demountable from opposite the centre door to accommodate a wheelchair, while the nearside double seat ahead of the centre door was hinged at the base to allow it to be folded forward when the lift was in use. An alternative layout would be to specify a standard centre door and staircase and 59 fixed seats. More highly specified seats are options. 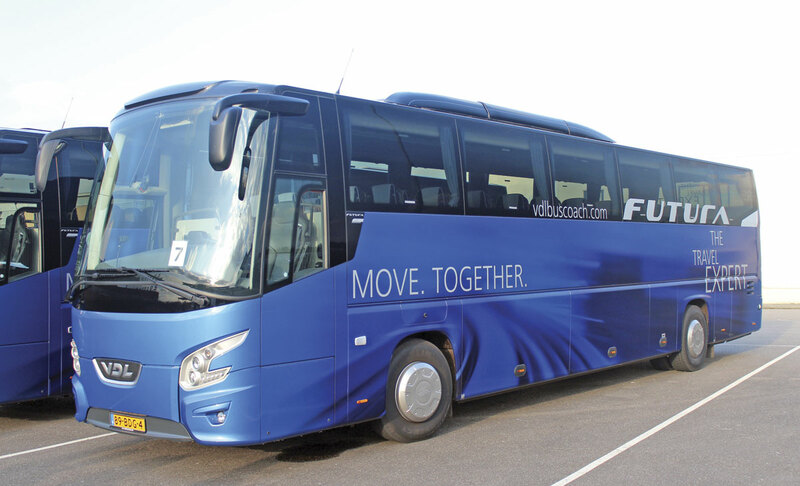 For Euro6 coaches, VDL has stayed with DAF/Paccar engines. The standard engine in the FMD is the DAF/Paccar MX11-240 rated at 330hp (240kW) at 1.650rpm and developing maximum torque of 1,400Nm at 1,000-1,650rpm. The option is the MX11-270 370hp (270kW) unit giving 1,600Nm. Both variants are available with three gearbox options. The manual unit is the ZF 6S1611BO six-speed, the automated manual is the ZF AS-Tronic 12AS1611BO and the full automatic is the ZF Ecolife 6AP1400BO with the MX11-240 and the 6AP1700BO with the MX11-270. Rear axle ratios are optimised for each application. With an inner wheel angle of an impressive 60-degrees, the 12.9 version has a turning circle of 22.0m. 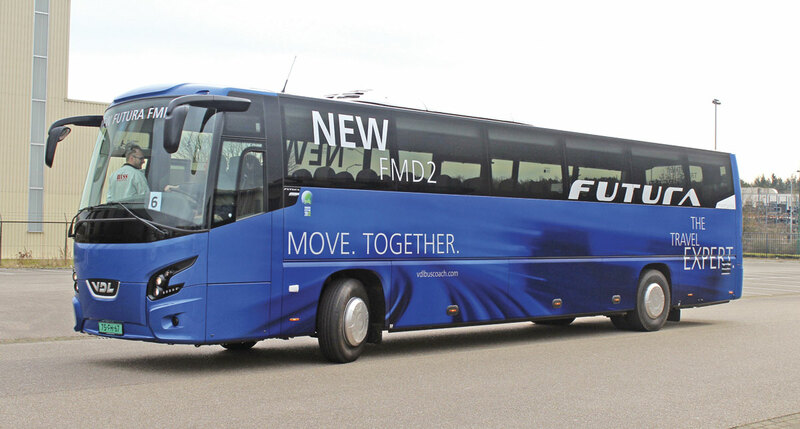 For the driving experience I joined my German colleague, Sascha Boehnke of the German magazines, Omnibusrevue & BusFahrer, who found that driving the FMD2 was virtually identical to driving the FHD2, which is hardly surprising as the componentry is the same. He thought it seemed marginally more stable which he attributed to the slightly lower centre of gravity. It is anticipated that the FMD2 will account for between 20-30% of Futura 2 production at the Valkenswaard plant. An order for 27 has already been won from the Swedish family firm of Byberg & Nordin of Vasternorrland. I understand that there are ongoing discussions about bringing it to the UK but with the price differential between it and the FHD2 in Europe said to be only between €10-15,000 (£8,240-£12,360) it is difficult to identify a clear niche for it. 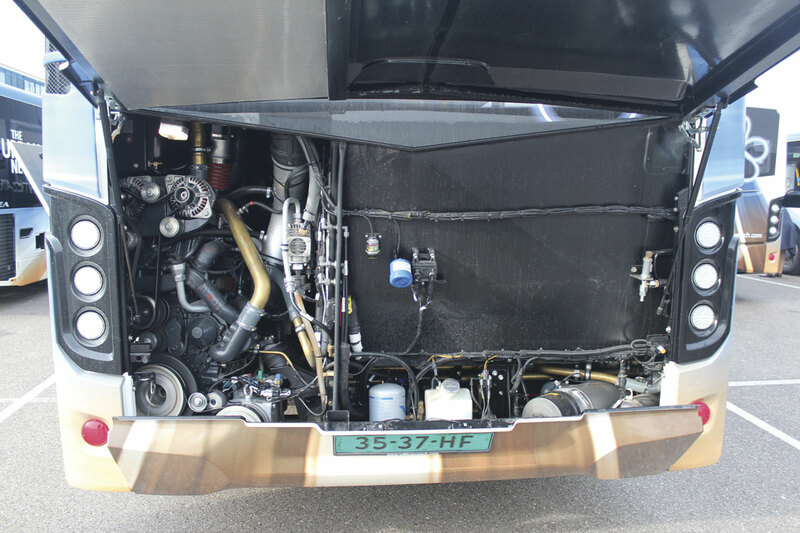 As well as the new engine arrangements, there have been other developments of the existing Futura FHD2 coach which won the Coach of the Year 2012 title and is already proving popular in the UK. These include a new multi function steering wheel, new lift options and the repositioning of some components, notably the front heater which moves from below the front step to a vertical position within the dash, improving demisting and heating within the driver’s area in the process. 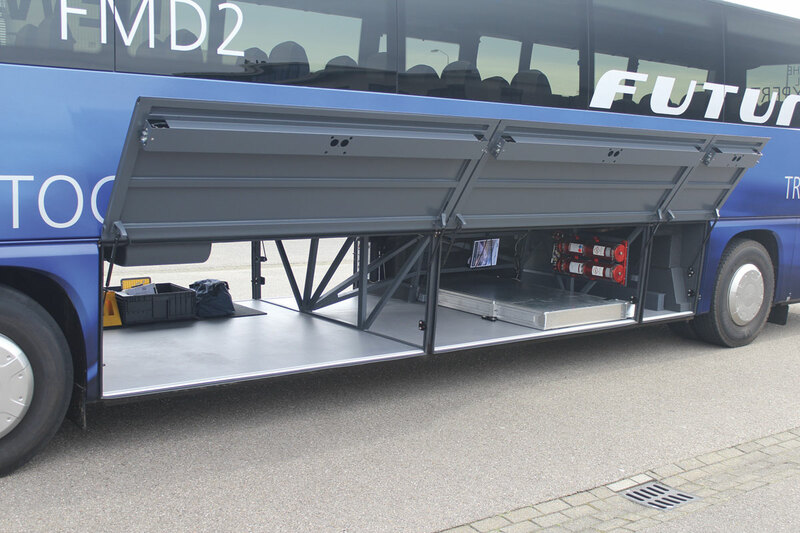 Another relocation is the main electrical panel which is now in front of the rear axle rather than in the roof of the luggage hold, increasing the available height there from 830mm to 1,060mm. It now uses mini fuses and relays. On vehicles with the AS-Tronic transmission, as well as moving the DNR switch to the right of the driver’s console, the gear selection function is mounted on the steering wheel. Optimisation of the shift settings should make the driving experience easier as well as minimising fuel consumption. The more heavily padded new multi function wheel, optionally available in leather trim, has the cruise control and downhill speed controls integrated within it on thumb controlled buttons. Also new is the Lane Assist system which warns the driver through vibrations in his seat if the coach is straying out of lane on roads where the camera bonded to the windscreen can read the road markings. Compulsory from November 2015, it works at speeds above 60kmh and can be turned off for up to ten minutes. Finally, left hand drive FHDs can now have a PLS 400kg cassette lift mounted in the locker above the driven axle. The cost of specifying Lane Assist in Europe is €1,400 while the PLS lift option adds between €15-20,000 depending on specification. Consideration is also being given to a 10m Futura 2. At this stage no decision has been made on whether it would be FHD2 or FMD2 based. Though VDL has stayed with DAF/Paccar for coach engines, the discontinuation of the PR series diesel engine and the greater size of the replacement MX are among the factors that have prompted it to turn to the Fiat Power Train (FPT) Cursor 9 nine-litre unit for its bus engines, though the Citea LLE will continue to feature 6.7-litre Cummins power. 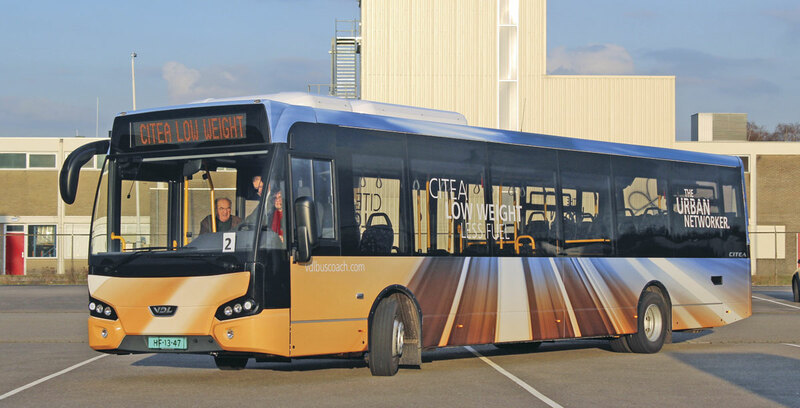 It is many years since VDL offered a complete articulated chassis bus though it was only around two years ago that it stopped building an articulated version of the Jonckheere Transit on the Volvo B7RLA chassis, a model that proved popular with the Belgian de Lijn organisation. Now, in a move important because it enables VDL to bid where customers issue tenders calling for solo and artic models from the same manufacturer, the company has developed an articulated version of the 18-tonne capacity Citea SLF featuring the same front and rear modules with a new centre module. Called the Citea SLFA, it is available in 18.0m and 18.75m length variants with three or four doors using Hubner articulation equipment. These offer theoretical passenger capacities of 160 and 170 passengers, though nobody ever specifies them to carry these numbers. Said to be returning good fuel/AdBlue economy figures already, the engine options in the SLFA are the same as those in the two-axle SLF, either the 310hp (228kW) or 360hp (265kW). Transmission options are either ZF EcoLife or Voith Diwa.6 automatics. The engine fit in the rear continental offside corner is very neat enabling both SLF and SLFA to have a rear seating area alongside the engine. A feature of the Citea is that a high number of seats are directly mounted on moulded modules, and though these are quite firm to travel on, this should not be an issue on a city bus. Another positive aspect is the maximisation of the low floor area with fewer podests to surmount than most competing vehicles. This adds to the feeling of spaciousness and also makes the Citea easier to clean. 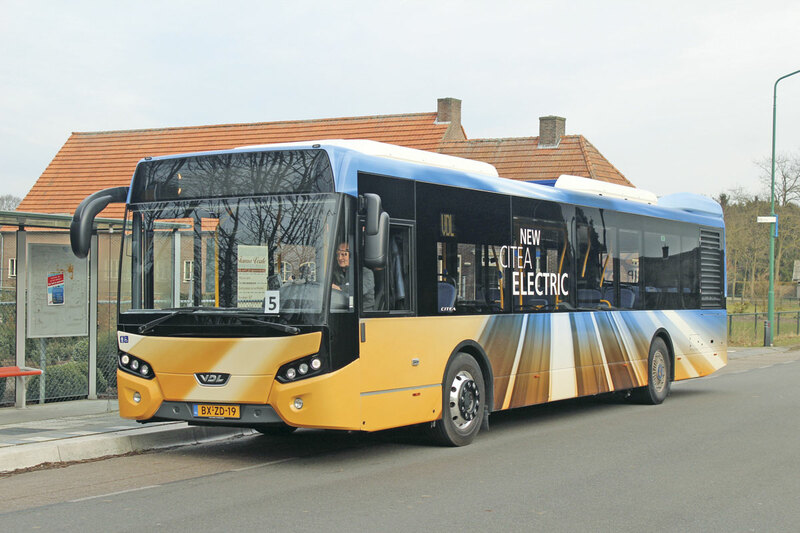 VDL has no plans to offer CNG fuelled buses but it is interested in both electric and hybrid systems. It is currently offering two different electric concepts, one of which was available for test drives. This 12m derivative of the Citea SLF featured the Ziehl Abegg ZAwheel axle with hub motors and two 85kWh Valence U27-12XP Lithium iron magnesium phosphate battery packs. It was a slow charging option giving a range of 100-150km, but it could be supplied as a fast charging vehicle requiring regular recharging on route to extend the 20-30km range it otherwise has. 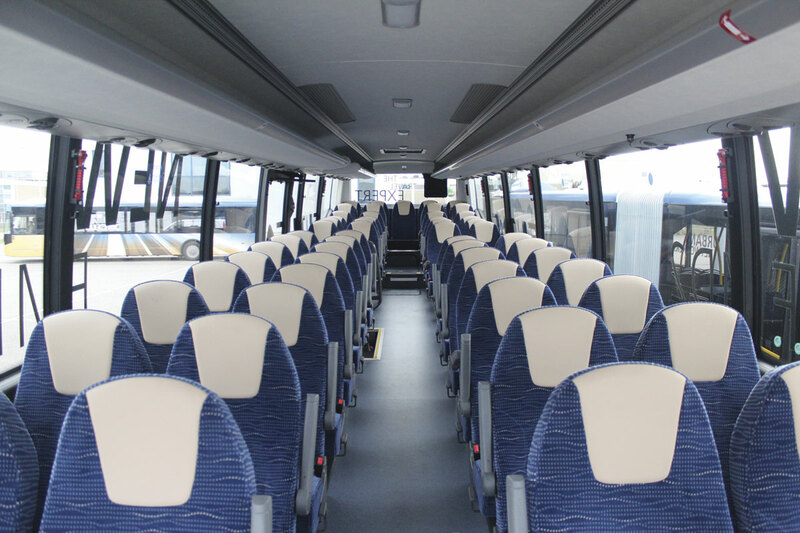 An advantage of the fast charge option is that it can have the same passenger capacity as a diesel bus. A third option would be to combine fast charging with an on board range extender, whether fuel cell, battery, diesel generator or some other power source, to give a range in excess of 200km. Operators also have the option of choosing a Siemens Alfa hybrid version with central electric motor and a standard rear axle that can be offered as an artic, something the Ziehl Abegg probably would not be because it would require two sets of hub motors. I did have a go myself within the test site and found it incredibly smooth, quiet and easy to drive, as well as very swift if you want it to be. Even the steering system is electric. When you turn on the ignition there is no sound to hear. The accelerator is like an on/off switch because when you are not accelerating it brakes. I was just as impressed as a passenger; VDL have really addressed the issue of ancillary component noise because there was virtually none, making it probably the most impressive electric bus I have yet travelled on. Five Citea Electrics will enter service in Munster this year and I understand there are other, as yet unannounced, orders. It would depend on the battery system but a pre-series vehicle would probably cost in the region of €450,000-500,000. Asked about offering an electric version of the Citea MLE/Streetlite, we were told that the agreement with Wrightbus currently only covered left hand drive diesel in Europe. There had been discussions about the electric but VDL would not offer it yet, though they could do in the future. It was also confirmed that although homologation is not yet complete, the first two left hand drive diesel MLEs had been sold to a small Dutch company who will take delivery in two or three months time. The Citea SLE/XLE is a low entry 19-tonne (SLE)/26-tonne (XLE) integral available on two axles at 12.0m and 12.9m and on three axles at 13.7m and 14.5m. New versions of it have been developed for the Swedish market. The Citea SLE-Cargo and XLE-Cargo have a shortened low floor area at the front and a 1.9cubic metre (2-axle SLE) or 2.0 cubic metre (3-axle XLE) underfloor luggage capability. Questions were also asked about whether VDL was bidding to build the new double deck for Berlin. The answer was that at present it was only a prototype study and VDL was looking into the possibilities and would discuss the possibilities next month. 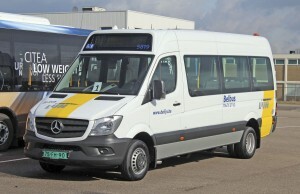 The baby of the exhibits was a MidCity low floor city bus body on a Mercedes-Benz Sprinter 513 base built by VDL Venlo. This featured the impressively smooth 7G-Tronic transmission and the OM651DE22LA engine rated at 130hp (95kW). It seated 13 with space for nine standees and was very smooth and easy to drive when I took it out on the test route. Little was said about chassis in the presentations but I was told that this remains a key part of the business. VDL’s first priority has been to get the complete bus range ready for Euro6 before looking at which chassis it needs to service existing customers and then win new ones. Within Europe, chassis are seen as a very UK focussed business and if production is to be expanded the company believes it will need to look outside Europe, unless it enters some form of strategic partnership. 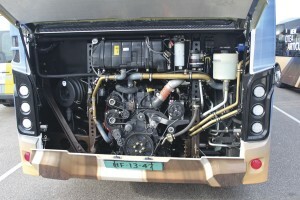 Among chassis already developed are the SBR4000 tri-axle with the DAF MX13 engine, the SB4000, the SB230 with SPT Cursor 9 and the Cummins engined SB200. 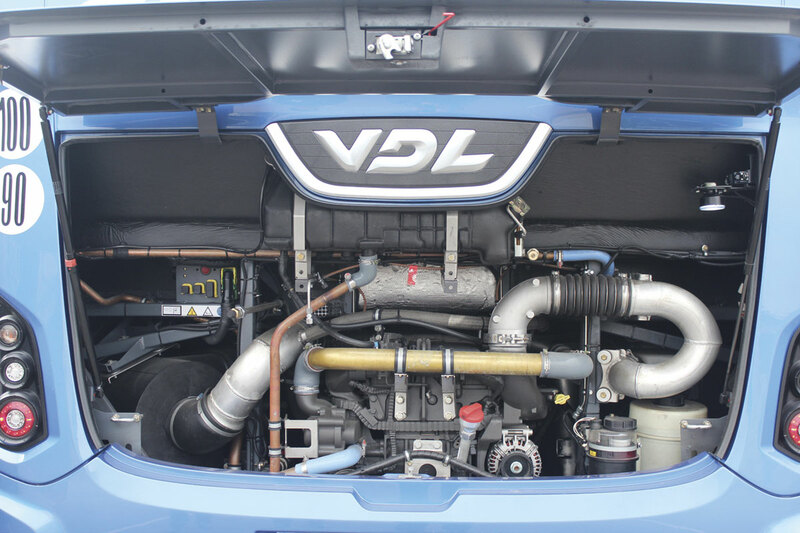 VDL’s Euro6 presence in the UK market is in conjunction with three different dealers. The right hand drive integral coach range, which at present is limited to the Futura FHD2 in all of its variants, as well as the Synergy double deck coach are handled by the associated Moseley group of companies. Arriva Bus and Coach handles VDL chassis, principally the SB200 for bus applications which it offers in conjunction with Wrightbus and MCV. VDL is also working with Volvo supplying the Jonckheere JHV/JSV coach on the B11R chassis. There have been rumours about the discontinuation of the Jonckheere product but these were well and truly scotched at the event where I was told that production on Volvo two and three axle chassis would continue ‘full throttle’ at the Roeselare plant in Belgium. One model previously offered in small numbers at Euro5 that is no longer available at Euro6 is the Axial 100/Synergy coach on a Scania chassis. Arriva had also been offering the DAF SB4000 coach chassis with the Axial 50 body but the Berkhof developed Axial is not being continued past Euro5. VDL has been very successful winning tenders in Finland in recent months with significant orders from two major operators. Having already placed 29 Citea LLEs in service in Helsinki at the beginning of January, Pohjolan Liikenne has ordered ten more Citea LLEs for use in the city of Kuopio, 380km north of Helsinki, for delivery in the summer. This order follows a 64 bus order from Finland’s largest operator, Koiviston Auto, which also specified the Citea LLE. This is the biggest order VDL has ever won in Finland. 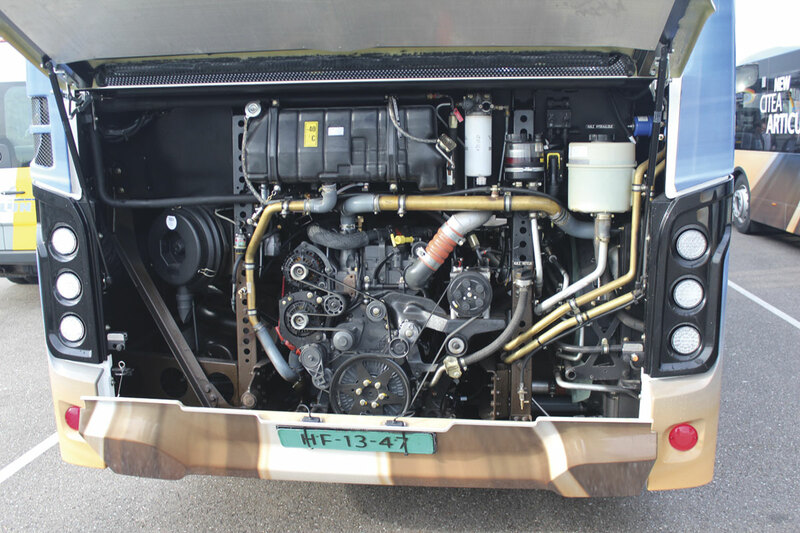 In the past Koiviston has built its own vehicles under the Kabus brand using the same low weight principles and Cummins engines that VDL employs in the LLE. Destined for use in Kuopio and Lahti, they will be delivered in the first half of this year. All will have 39 seats and space for 40 standees.